Chicago Teachers Union President Karen Lewis met with some of her staff on Tuesday. 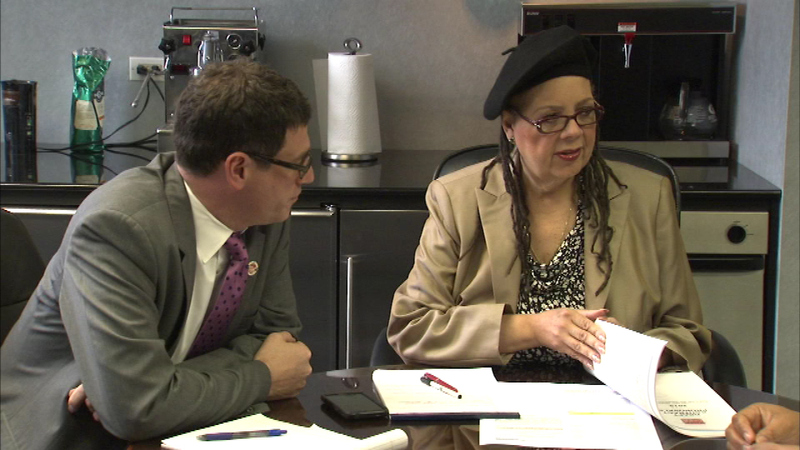 CHICAGO (WLS) -- Chicago Teachers Union President Karen Lewis is back at work. She met with some of her staff on Tuesday. Lewis was been undergoing treatment for a brain tumor after she was diagnosed last October. At the time, she was considering a run for Chicago mayor. In her absence, CTU Vice President Jesse Sharkey took over her duties.